Museo y Centro de Estudios HumanÃ­sticos hosts Budget Planning for Museums, a workshop led by Affiliations director, Harold Closter in Gurabo, 11.2. SITES exhibition Ramp It Up: Skateboard Culture in Native America opens at the Institute of Texan Cultures in San Antonio, 11.2. As part of their ongoing Smithsonian Sunday series, the South Dakota State Historical Society will host a webcast from the National Air and Space Museum, 50 Years of Solar System Exploration: New Worlds, New Discoveries, in Pierre, 11.10. The National Museum of American Jewish History presents a lecture and book signing with Undersecretary Richard Kurin, author of The Smithsonian’s History of America in 101 Objects in Philadelphia, 11.12. National Museum of Natural History curator, Hans Sues, will present a lecture at the University of Nebraska State Museum of Natural History in Lincoln, 11.14. Affiliate directors will be among the attendees of the Latino Partnership Forum, organized by the Smithsonian Latino Center and Smithsonian Affiliations, at the Smithsonian, 11.4-11.6. 15 Affiliates shared educational materials which will be available to educators as part of a rescheduled Smithsonian Teachers Night, Washington DC, 11.15. National Museum of American History curators Nancy Davis and Peter Liebhold will participate in a panel discussion, Show me the Money: Museum Conversations of Debt and Commerce, with the director of the Museum of American Finance, David Cowen, in Washington DC, 11.23. The Oklahoma History Center is one of a handful of museums across the nation that received a grant from the Smithsonian Institution to educate middle school students about Asian-American history. The $2,500 grant helped start an oral history program titled â€œYoung Historians, Living Historiesâ€ that will allow history center staff to teach students how to reach out to Asian-Americans, interview them on camera and submit the video to the Smithsonian website. In 2005, George Jacob was the project director for a Smithsonian exhibit called â€œRay Charles: The Genius.â€ â€œWhen I worked on that exhibit, that was the first time I had really given much thought to how the visually impaired learn about art,â€ Jacob said. â€œIt made me realize that there is nothing really tactile to help teach the visually impaired.â€ Jacob is now the executive director of the Ellen Noel Art Museum in Odessa, and he hasnâ€™t forgotten about the challenges facing those without sight. In fact, itâ€™s the driving motivation behind the museumâ€™s newest pieces of cutting edge equipment: 3-D printers. Owned by the Smithsonian Institution and displayed at the Buffalo Bill Center of the West in Wyoming, this clever contraption would have made any cowboy the king of the corral. AIHP- Oral History Project , Training in progress!! 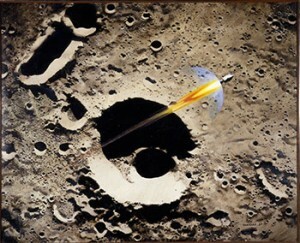 “Apollo 8 Coming Home” by Robert T. McCall is part of “Paintings of the Space Age” Smithsonian exhibit at the Polk Museum of Art in Lakeland, FL on Wednesday October 9, 2013. 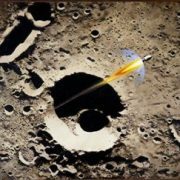 A partnership between the Polk Museum of Art and the Smithsonian is bringing back the thrill of the United States’ unprecedented early space exploration through “Paintings of the Space Age,” on exhibit through Dec. 7 in the museum’s Dorothy Jenkins Gallery. The exhibition’s opening coincides with NASA’s 55th anniversary occurring this month. National Fossil Day, an annual celebration of all things fossil, has come around again. But not everyone is jubilant. As the government shutdown ticks onâ€”with debate fossilized, you might sayâ€”a mighty Cretaceous carnivore has been left in limbo on the day it was supposed to be acclaimed. There is no joy in Washington, D.C., for mighty T. rex has struck out. The dinosaur in question, fondly known as the Wankel rex, was due to arrive today, shipped off from the Museum of the Rockies in Bozeman, Montana, for a ceremonial greeting at the Smithsonian’s National Museum of Natural History. That warm welcome is delayed until the spring. As we approach the end of 2013 and develop plans for new initiatives in the New Year, we would like to introduce some new benefits for your Smithsonian Affiliate members through the Smithsonian Affiliate Membership Program. 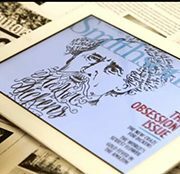 In the past few months, Smithsonian Affiliations has been working to identify additional resources for your Smithsonian members that will be provided directly to members by email. We all know that the easiest way to reach our audiences with information is where they spend the most time – in their inboxes. We have developed a balanced menu of engaging Smithsonian communications that will be of special interest for Smithsonian members. 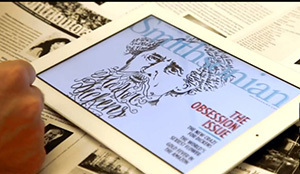 They include newsletters, travel journals, weekend magazine issues from Smithsonian magazine and a downloadable iPad app for subscribers to get online access to the publication from their phones and tablets. By creating more touch-points the new communications aim to bring members more value and access to the Smithsonian, generating higher renewals and new memberships at your museums and organizations. We will be in touch directly with more detailed information about the email program, a planned Smithsonian membership drive and a new website for online member and subscription submissions. We always welcome feedback and new ideas! 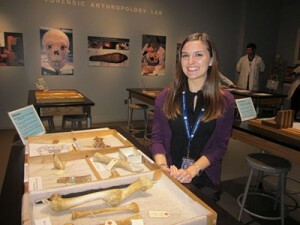 Jessica Crossman in the Forensic Anthropology Lab at the National Museum of Natural History. “I truly wish everyone at my institution had the chance to do this kind of program, which was eye-opening in so many ways. I know I will continue to maintain many of the relationships formed during my program and am grateful for the opportunity.” – Sarah Rooney, Community Programs Manager, Senator John Heinz History Center, 2013 Visiting Professional. “Through these wonderful learning experiences I met some truly talent and kind people that I hope to keep in touch with.Â And of course this trip provided the Museum of Man some new ideas for our hands-on exhibit space.Â Iâ€™m very grateful to have been given the opportunity to grow both professionally and personally through this wonderful opportunity.“– Jessica Crossman,Â Experiential Learning Department Program Coordinator, San Diego Museum of Man, 2013 Visiting Professional. 2009 Visiting Professional, Wayne Coleman from the Birmingham Civil Rights Institute in the Archives of American History. “My Smithsonian colleagues were inviting, open, and encouraging. Their work is inspiring and has given me many ideas! I look forward to sharing what I learned with my colleagues and trying out some of the Smithsonian approaches.”– Lisa Falk, Director of Education, Arizona State Museum, 2010 Visiting Professional. “My experience was extremely valuable. 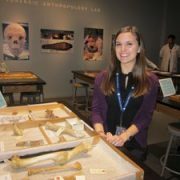 The knowledge that I gained at the Smithsonian and that I am now sharing with co-workers has definitely been beneficial to our work.“– Katey Ahmann, Coordinator of Exhibit Hall Programs, North Carolina State Museum of Natural Sciences, 2009 Visiting Professional. Apply online! Candidates apply directly through the Smithsonian Online Academic Appointment System (SOLAA). Visiting Professionals receive a stipend. Selected applicants will receive a $350 stipend per week (not to exceed $700) to help with expenses. Applicants must be full-time staff members at an Affiliate organization. Click here for full application requirements and to apply online. Questions? Contact Elizabeth Bugbee, 202.633.5304. Smithsonian Books and Smithsonian Affiliations are teaming up to offer Smithsonian Affiliates a special lecture program and book signing event opportunity with the some of the authors (subject to availability) of Smithsonian Civil War: Inside the National Collection. It is a truly unique narrative crafted around one-of-a kind, famous, and previously unseen Civil War relics handpicked from twelve Smithsonian museums and archives. Through spellbinding narrative and stunning visuals, 550 treasures transform from objects into potent reminders of this devastating period in American history. Illuminating the full scope of the political, military, social, and cultural climate of the era, Smithsonian Civil War is history as only the Smithsonian can tell it. – Host museum agrees to cover lodging, travel, and meals for Smithsonian curator(s). – Autographs are only allowed for copies of Smithsonian Civil War: Inside the National Collection purchased at the event. – Smithsonian staff will work with Affiliates to identifyÂ available speakers on a broad range of topics, and will provide a suggested outline if desired. 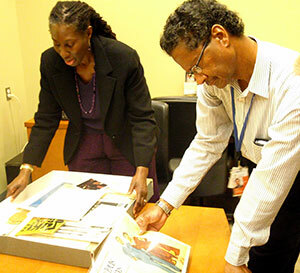 – Smithsonian Curators agree to do local/regional media to promote event. – TheÂ sale date is October 29, 2013, so events should be scheduled thereafter. Please call your National Outreach Manager for more information. Even though the weather is getting chilly, Affiliate accomplishments continue to shine!! TheÂ Illinois Arts Council Agency recently awarded Peoria Riverfront Museum (Peoria, IL) a grant of $20,600 from state funds. The grant will be used specifically for general operating support of the museum. In addition, Peoria Riverfront Museum received a $2000 grant from Target. The award will be used for a brand new educational kit involving Bee Bots, a new robot designed for use by young children. The Burton D. Morgan Foundation has awarded $407,000 to the Western Reserve Historical Society (Cleveland, OH) to support a three-year youth entrepreneurship program for students in grades 4-6 in the Cleveland Metropolitan School District. The Long Island Museum (Stony Brook, NY) announced that itsÂ Long Island Long AgoÂ school program was awarded a grant from Target Corporation. The grant will help the museum reach more than 12,000 Long Island school children annually, including those from underserved communities.Â Long Island Long AgoÂ encourages students to explore farm life in the mid-nineteenth century through historic tools, paintings and dance. 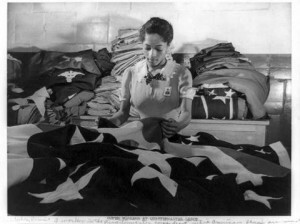 Making flags for military use in the quartermaster corps depot, Philadelphia, Penn, 1942. Photograph courtesy of Library of Congress. LC-USZ62-95525. Photographer: Howard Liberman. 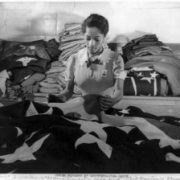 The State of Maryland has granted $128,000 to the Reginald F. Lewis Museum (Baltimore, MD) as part of its continuing support of programs and events commemorating the War of 1812.Â The Museum will use the funds toward the presentation of a new exhibition entitled For Whom It Stands: The Flag and the American People.